New York, NY – Women bring a different quality to leadership, and a unique set of circumstances, as evidenced by the diverse and inclusive series of events at the Commission on the Status of Women-61 at the United Nations. Each year, the CSW convenes for 2 weeks to measure the continuing struggles for women in attaining 50/50 representation in government, equal pay, economic empowerment, access to education, equality, justice; and the eradication of abuse, trafficking, and violence and it’s traumatic and often tragic aftermath. Inspiring and heartbreaking, the reality is that women around the world are making headway, but it is frustratingly slow. The support that a lot of nations are giving to this issue is remarkable. Just as remarkable is the sentiment of women to overcome these difficulties by coming together to find new ways to speak out, draw attention to these issues and see to it that women have an equal playing field. The NGO for Spirituality, Values and Global Concerns – NY event – Women’s Global Leadership, Spirituality and Ethics brought many of these issues to the foreground. Highlighting the difficulties, complexity and unique perspective women bring to politics, business and culture, Genie Kagawa, Chair of CSVCG-NY, posed the questions – What are the unique qualities that women bring to global leadership, which are gradually being recognized as a common understanding, and how does the discussion on spirituality, and its accompanying emphasis on values and ethics enhance capacities for successful outcomes? What is the value of the feminine? Speakers Yvonne Lodico, founder and president of Grace Initiative; Rev. Tsu-Wei Chang, Former President of UN Women’s Guild; Gunjan Goel, President of the Global Chamber of Commerce and Consul Officer, Consulate for the Republic of Liberia, and Co-Chairs of the event Rev. Cathy Towle and Genie Kagawa of CSVGC-NY all spoke on the importance of recognizing the importance of the Era of Femininity, and the unique problems women face as they enter the arenas men have dominated for centuries. Ms. Lodico spoke about women in the peacemaking process and the lack of female representatives at the negotiating table. As more women are inhabiting new roles, there is a lack of support and understanding of how this changes dynamics. For example, the needs of female soldiers being thrown into the role of aggressor creates a new problem when these soldiers return and try to fit into traditional female roles. In other cases, women need to develop the capacity to support other women leaders, as they can often become stronger blocks to other women than men are. She pointed out that violence against women affects all women. As women’s influence becomes more prominent in the world, Rev. Chang spoke about how to rise about some of the issues and taking advantage of the opportunities. 42% of women in the workforce have children under the age of 18. As most families in urban areas do not have extended families, there is a lack of support which leaves most working women over-worked, stressed, and overwhelmed. Women are the glue that hold their families together, and often need to dig deep within themselves to find the strength and spiritual purpose to balance the external and internal pressures they face. This exceptional capability of holding things together can be channeled into the peacemaking process, forging communities, creating lasting networks and ensuring goals are met. As we face the 4th industrial revolution which is transforming human life through technology and bio-tech, we need the influence of female spirituality to ensure that ethics and human decency guides new technology in the right direction. Seeing all the opportunities resulting from the changes, Ms. Goel spoke to the importance of family modeling the values that support women and increase their success. What we discuss at the dinner table shapes our values. Women can bring empowerment, and model the values that ripple out into their work, networks, and projects. Real power comes from the inside. Once this is realized, many new opportunities for support, and development arise. 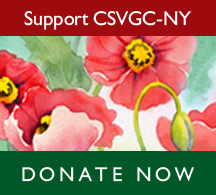 CSVGC-NY realizes that a lot of the problems facing the world today are, at the basis, spiritual problems. Additionally, UN Secretary-General Antonio Guterres has spoken about the need for values and ethics, yet, due to the separation of religion and state, the UN refrains from discussion on religion and the UN agenda. However, Rev. 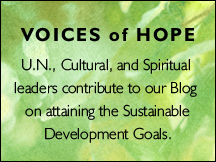 Cathy Towle, CSVGC-NY Executive Committee Officer remarked: “Spirituality is common to every tradition, and creates a sense of connection to others. This kind of consciousness leads to a humanity that makes decisions and shapes policies that respect human dignity and care for one another. We continue to explore this idea of oneness, and spiritual evolution, as it applies to a variety of global issues in a time of great change. There is a great hope in that.